You all know just how much I love my oatmeal, and I wake up every morning ready to have a delicious bowl! Rolled oats are sometimes underrated, but almost anyone can fit them into a morning routine. Why are they called rolled? Rolled oats are lightly steamed and then put through a roller. 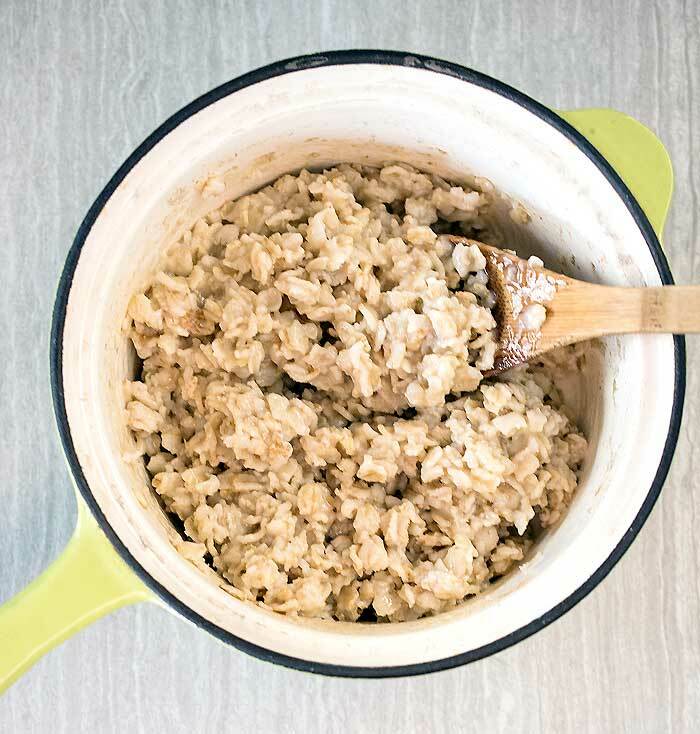 Rolled oats are so quick and easy since they cook in only 5 minutes on the stove. I love that! If you grew up on instant oatmeal, you’ll find that Quaker® Old Fashioned Rolled Oats have a slightly chewier texture that is really appealing. I chose a Middle Eastern flavor profile for my bowl. The main additions are pistachios, dates, and cinnamon. But the agave nectar (or maple syrup) mixed with the orange flower water is really a powerhouse of flavor. 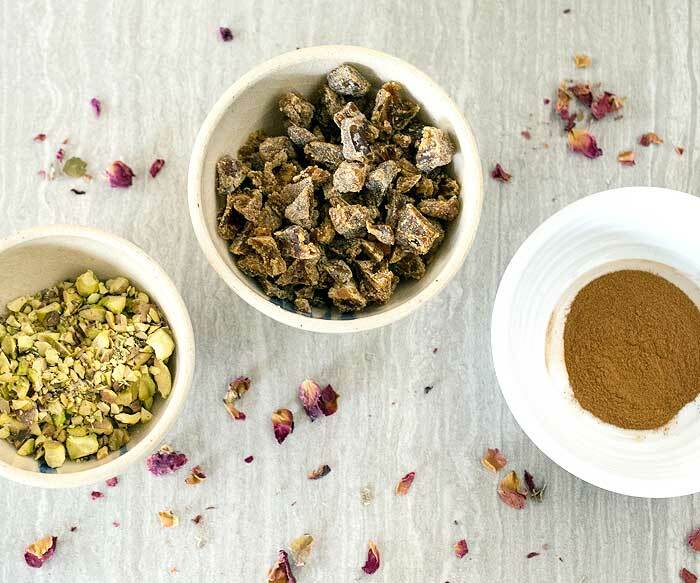 Not only does it add sweetness, but the flower aroma will brighten up your whole day. Bring the water to a boil then add the Quaker® Old Fashioned Rolled Oats and cook for about 5 minutes or until the oatmeal has absorbed the water and the oats are tender. If you'd like, stir in a pinch of salt. Add the orange flower water to the agave nectar and mix well. Divide the cooked oats into 2 bowls and divide the pistachios and dates between them. Drizzle the orange flower water and agave mixture over the top - just use the amount you like to sweeten your oats with. You can always save any leftovers for next time. Top with a sprinkle of cinnamon and enjoy! Oatmeal is the best – our breakfast of choice several mornings! Your combination of flavors is going to be great – we will be trying this very soon! I entered that contest too! 😀 This looks delicious, thanks for sharing! Oatmeal in the morning, the breakfast of champions. I love the flavors you put together in this. I’ll be trying it soon. what a beautiful combo!!! 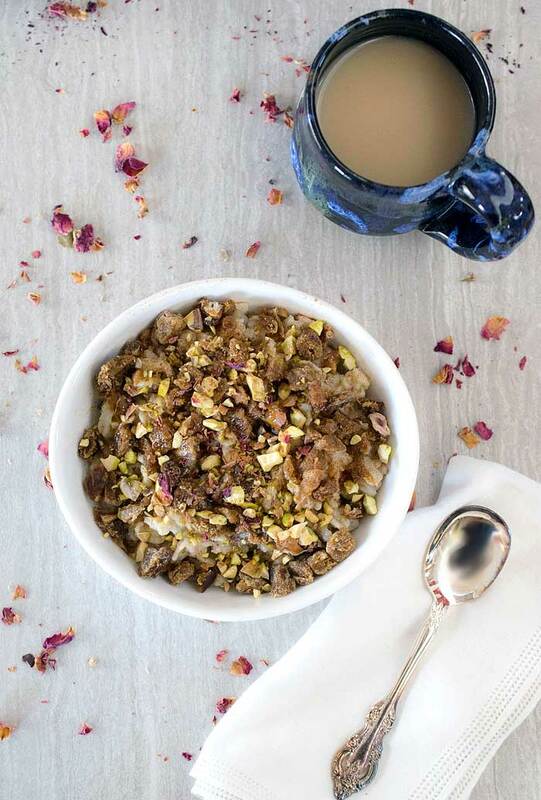 i am not a big fan of oatmeal but the addition of pistachios and orange flower sounds great. You packed so much health into this oatmeal. What a great way to start your day. 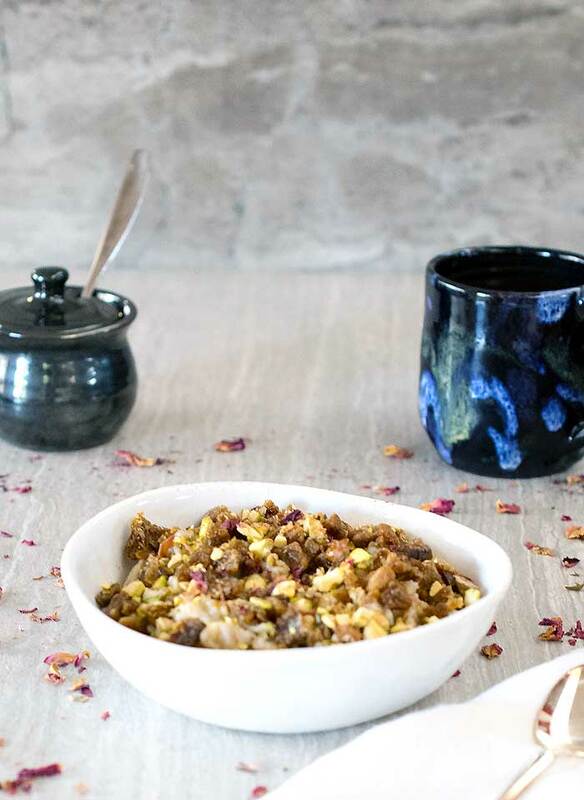 I love using orange flower water in my Middle Eastern dishes and this oatmeal is right up my alley – what terrific flavor combination! Wow, this is such an elegant oatmeal. I’d love to serve this for brunch. This may be the most unique bowl of oatmeal I’ve ever seen! Love the flavor combination here! Sounds delicious! I love pistachios! And we eat a ton of oatmeal around here! Wow orange flower water? Would love to try it. I have oatmeal, in uk called porridge, every single day, never get bored of it . This is probably the most creative, exotic oatmeal I’ve ever seen. A bowl of this in the morning would be such a treat!